The property has been in the family since the beginning of last century. Initially the producer’s great-grandfather worked on a sugar mill producing brown sugar. Around 1910, the first coffee trees were planted, the seed planted directly into holes. The first harvest occurred 7 years later. Production was very low, and the fields were located on very steep areas of the farm. The producer’s grandfather, Cirino Flauzino, took over part of the property in 1949 following the death of his father and the farm became known as Fazenda Cidreira. At this time, production focused on coffee and meat and dairy cattle. In 1988 the property was divided by the grandfather; the father continued working with coffee as well as dairy cattle and the farm was called Sítio Grota Fria. In 1996 the producer rented a piece of land from an aunt and planted his first plot of coffee with 2000 trees of the variety Mundo Novo. Then in 2007 his father passed the property to him as a partnership. 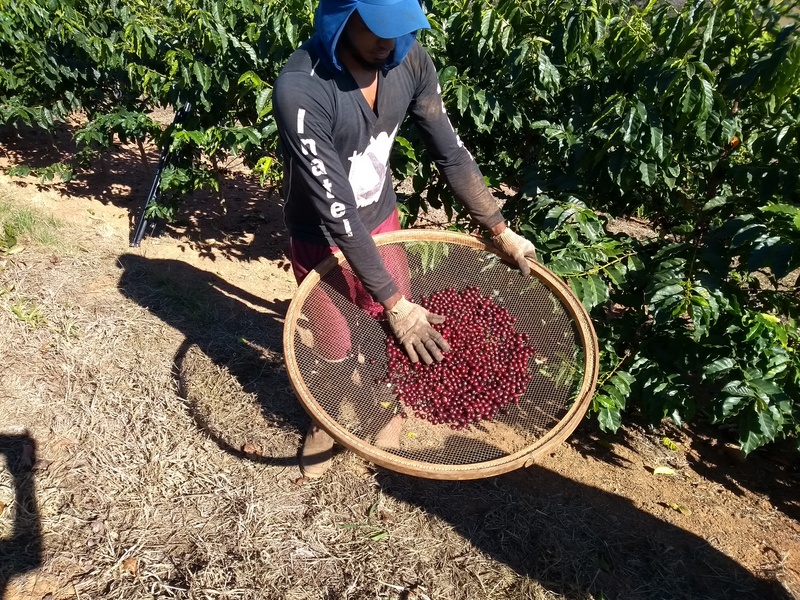 In the same year, the farm began CertificaMinas Café certification, which focuses on property administration and better crop handling. He renewed the fields that were old and unproductive, with the spirit of trying to change something in production that would influence both his future and his family’s. Together with support from his friend, Sergio Brás Regina, he participated in the project that Apas began in the region. During his first years in the association, he participated in as much as possible (workshops, field visits, national fairs, etc.) always seeking novelties. It was thus that in 2010 he found his path, specialty coffee. The resistance of his father, a traditional farmer, was not easy. 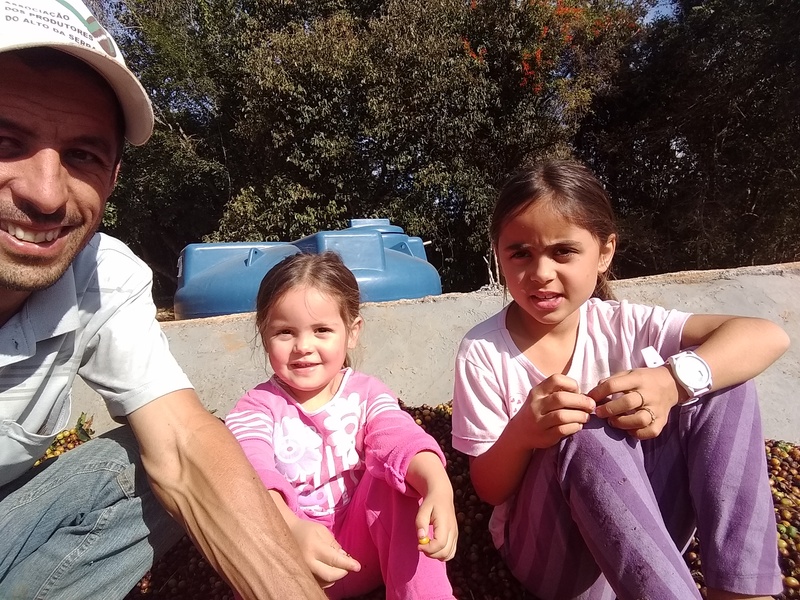 He showed his father that producing specialty coffee did not require large initial investments, actually changing small day-to-day details resulted in significant improvements in quality. His first coffee scored 81.5 points in 2011. This was his first achievement; until then only coffees of hard or rioy quality had been produced. The first lot he sold directly was in 2013 to a roastery in Germany. Believing in great potential together with the knowledge acquired through his efforts and the work that Apas had been doing in the region over the years, he has invested in post-harvest processing, forming partnerships with other farms in higher regions in the search to produce exclusive coffees. 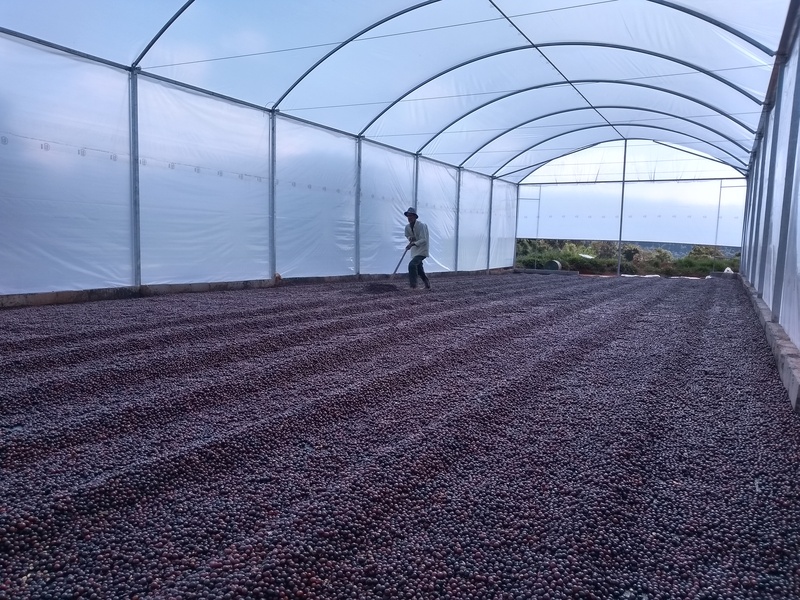 The lot selected in 2018 consists of ripe cherries, which were picked selectively and dried in a greenhouse. 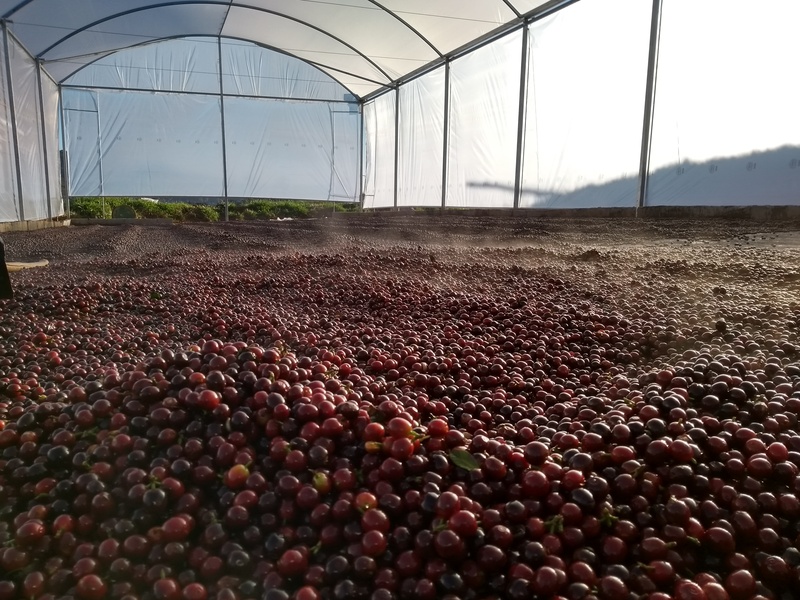 After the drying period, the coffee was stored in a big bag at 15% humidity, resting for 15 days. Then it returned to the patio to finish drying. Finally the coffee was warehoused again and rested for 30 days before being milled. The producers work on the farm in a familial agriculture system in which they follow the farm’s FairTrade production criteria.